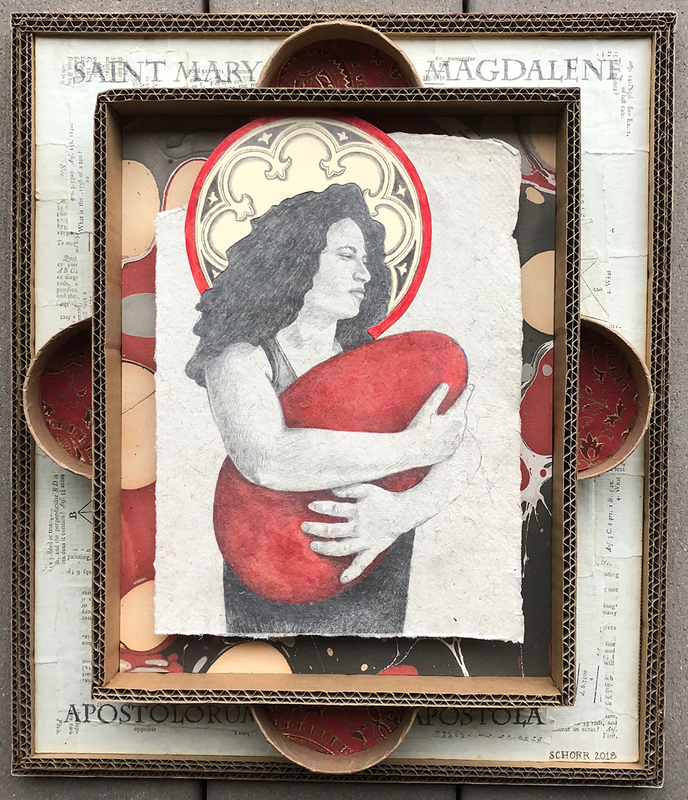 Have you ever seen an icon of a woman holding a red egg? In the language of iconography, that's St. Mary Magdalene. There are a number of legends as to why she holds a red egg, none of which include bunnies or chocolate. Chickens, which do not naturally lay eggs in the winter, begin laying again in spring, prompted by the lengthening of the days. Thus the egg was a symbol of spring and rebirth, which goes to the heart of the resurrection story. The first legend says that Mary Magdalene went to see Tiberius Caesar sometime following Christ's death. She declared that Christ had risen, holding up and egg, prompting the big TC to declare that Christ was no more risen than that her egg was red. The egg she was holding immediately turned turned red. Another legend says that she took a basket of eggs with her when the women returned to the tomb because, well, they have to eat, right? In this legend, the eggs in her basket turned red when she saw the risen Christ. Still other legends say the egg is representative of the stone that covered the entrance to the tomb. When Jesus appears to Mary at the tomb, he tells her, "Do not cling to Me." John 20:17 It's from this verse that I got my inspiration for this icon. Like many people, I cling to things, memories particularly, more than I should. So I identify with Mary Magdalene wanting to cling to the way things were, like big ol' rock. So I drew her hugging a very large egg shaped rock or egg, depending upon your point of view. The marbled paper echoes the egg shape as does the four half circles. The outer paper is from a late 1700s math book, a nod to the calculations, thankfully unnecessary to remove a large stone from the opening of the tomb. Apostolorum Apostola is a name frequently given to Mary Magdalene, meaning Apostle to the Apostles.